There's Style and then there is Style and sophisticated blazers by Blu Martini. 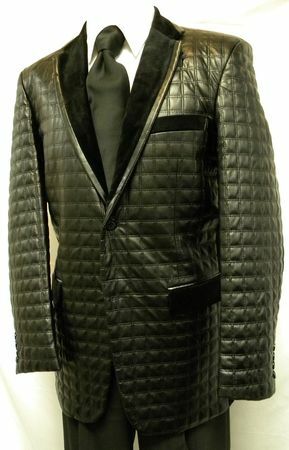 This rich looking black quilted leatherette and velvet blazer has that Jersey Boys look that just begs you to get on stage and start singing. Featuring a 2 button style with double vents, this black square quilted blazer does the trick with both jeans and slacks. Find Mock Neck Shirts Here.